Yangon found glory in the days of British rule, rising with the rise of the Raj and becoming a patchwork of elegant Victorian townhouses and Georgian builds. Much of that side of the city remains intact too, and today you can navigate the tuk-tuk-packed roadways to see the likes of St Mary’s Cathedral and its Anglo spires. 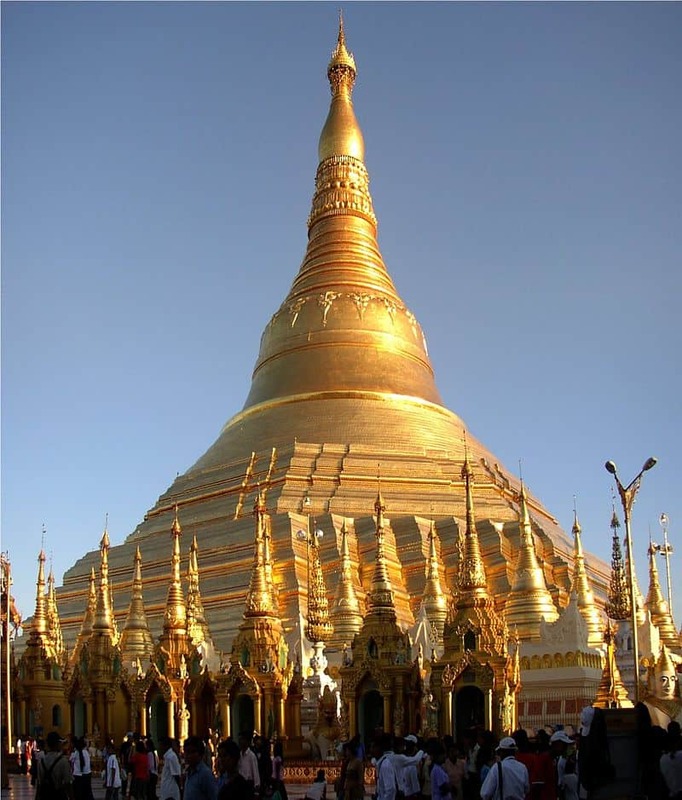 However, the real piece de resistance (and what typically magnetizes travelers to this erstwhile Burmese capital) has to be the Shwedagon Pagoda. This marks the sacred spot where the holy lotus buds once appeared to signal the coming of Gautama Buddha and guide the learned to Nirvana. Be sure to visit the site and wonder and the glimmering gold construction, the prayer rooms, and the exquisitely carved pavilions for pilgrims.